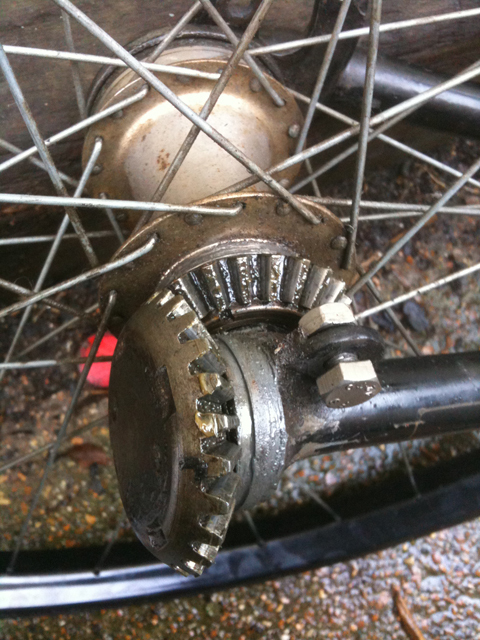 An FN Shaftdrive is an historic machine, as FN influenced the other early adopters of chainless bicycles, such as Pope Columbia (in the USA) and Metropole (in France). FN produced their first shaftdrive bicycle (also known as the Chainless or, in French, Acatene) in 1898. On a practical level, the disadvantages of a shaft-drive may outweigh its advantages. Replacing a chain may be messy, but could be done easily enough by the rider; while greasing up a shaft-drive is easy enough, further servicing tasks require basic mechanical skills. Shaft-drive cycles were also more expensive. 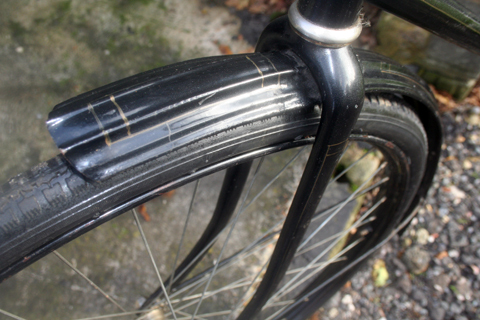 The profile of a 100-year-old chainless bicycle is certainly pleasing on the eye. But chain-driven bicycles won the day, and early chainless bikes are now rare and very collectable. According to the advert below, from Cycling magazine of 20th November, 1919, the address of F.N. (England) Ltd was Kimberley Rd, Willesden Lane, London NW6. The Age of this FN? I don’t know its age. But from its design it appears to me to be an early example. Cycling Magazine states a production ability of 50,000 p.a in the 1912 article above. That seems fanciful in my opinion for a chainless model, given that it would have been an expensive bicycle to produce and sell. I would guess at an average of 1,000 per year. 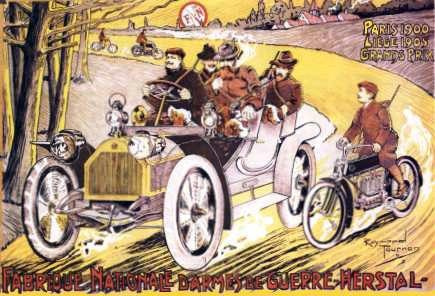 Early FN motorcycles were bicycles with engine attached. You can see from the chart below the build-up of lightweight model production to 1914, with optimum output between 1903 and 1909. Production is certainly constant up to WW1. Assuming shaft-drive bicycle frame numbering ran in sequence, and that they manufactured 1,000 a year from the first in 1898, the frame number of this bike – 13270 – would make it around 1911. 1° Machines légères or Light weights. This FN Acatene is in good working order. The shaft-drive mechanism has been dismantled, cleaned, greased up and re-assembled. It rides well. It’s clean lines are helped by the fact that there’s only one brake – like most European bikes of its era, that’s a coaster brake. I think it was probably restored some time in the distant past. It has a 24″ frame. There’s a step on the rear spindle if you need help jumping on. I’m 5′ 8″ and I can mount over the crossbar and ride it easily enough once I’ve inched myself onto the saddle. It has a good-looking period saddle, of European manufacture and similar in style and construction to the saddles of pre-WW1 FN motorcycles. 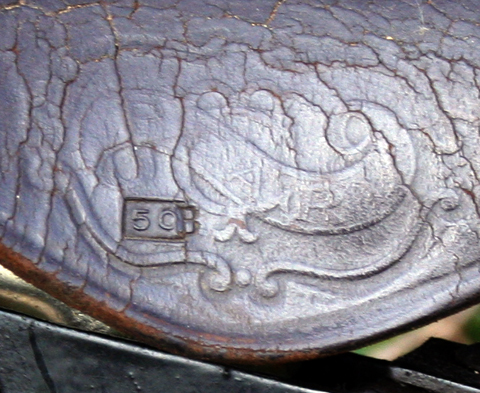 Though it has a distinctive logo, I can’t make out the name, except for its model number of 50B. There’s a dent in the frame just forward of the pedals, as you can see in the picture below. Overall the bike is tidy and presentable. The rear wheel was buckled when I bought it. So we’ve replaced it with a new rim (below). The original rim is still available. 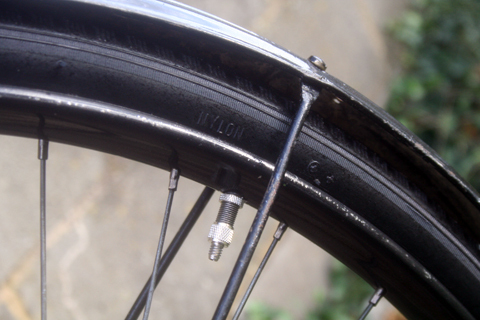 The rear hub does not have a manufacturer’s name. I rode it along the seafront during recent storms. The FN is now sold. When I dismantled it for boxing I took a couple pictures of the shaft in case you wanted to see what they look like inside.